Miller referred to a 1986 case where the BLM attempted to seize some of Henderson’s land. Henderson sued the BLM and lost 140 acres that had been in his family for generations. Now the BLM is looking at using the prior case as a precedent to claim an additional 90,000 acres. Congressman Mac Thornberry (R-TX) represents the ranchers in this region of north Texas. According to Thornberry’s legislative analysts, the issue of the ownership of this land dates back to the Louisiana Purchase of 1803. When the BLM made the claim on Henderson’s land, their position was that Texas never had the authority to deed the land to private parties and therefore it would fall under federal control. Tanks aside, the Texas Farm Bureau has produced a video that explains the problems left open by the current border definition from north Texas ranchers’ perspectives. This issue reportedly centers on Oklahoma’s definitions on the various forms of movement with the river. 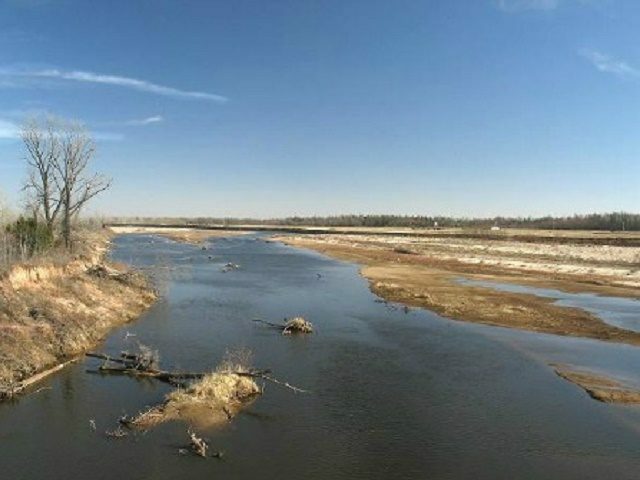 The Texas Farm Bureau asserts the State of Oklahoma believes that whenever the river shifts south, the state line moves south. But when the river moves north, the line remains in place. Now, the BLM seems to want to settle the matter by simply confiscating the land.